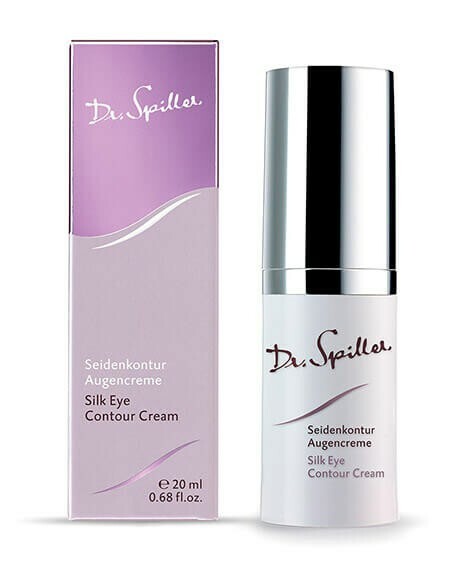 Silk Eye Contour Cream includes precious silk proteins for instant smoothing. The improved elasticity is further enhanced by Triple Eyective Complex, which reduces puffiness and dark circles. Tigergrass and Bamboo Extract are firming active ingredients, while Almond Oil and Squalane nourish the eye area. For fresh, youthfully radiant skin. Gently pat eye care into the skin of the eye area in the morning and evening. The eye area needs to be treated with particular care, because it is more sensitive than other areas of the face. Using excess force may cause wrinkles to develop.